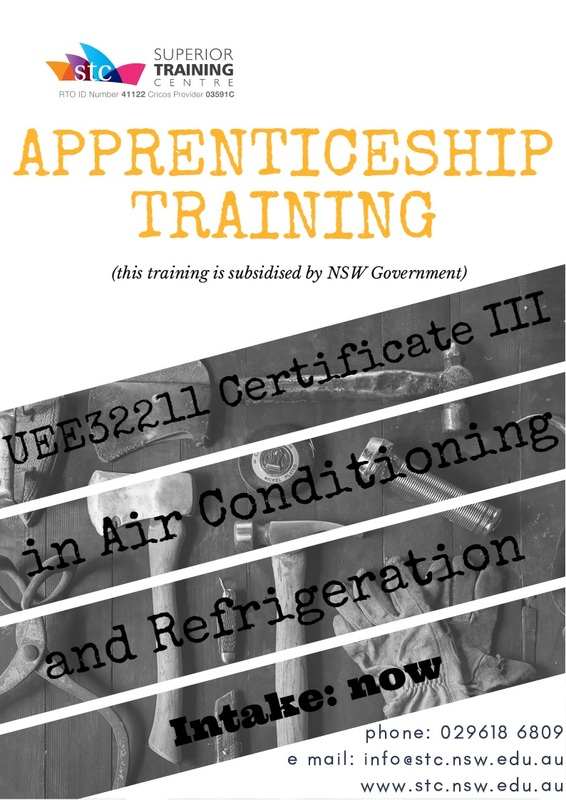 The Certificate III in Air Conditioning and Refrigeration (UEE32211) can now be undertaken at the Superior Training Centre. This course is subsidised by the NSW Government, with the next intake commencing their studies on October 23. Contact the Superior Training Centre on info@stc.nsw.edu.au or (02) 9618 6809.
hi,rnrn may i know what is the duration of this course ?